Ludwig Goransson received the award from "Black Panther" star Michael B Jordan and actor Tessa Thompson. Black Panther has won Best Original Score at the 91st Academy Awards becoming the first superhero film and Marvel Studios project to take home the Oscar in the category. Ludwig Goransson received the award from Black Panther star Michael B Jordan and actor Tessa Thompson. The Marvel project beat out "BlacKkKlansman" (Terence Blanchard), "Mary Poppins Returns" (Marc Shaiman), "Isle of Dogs" (Alexandre Desplat) and "If Beale Street Could Talk" (Nicholas Britell) to become the first superhero movie to win the award. 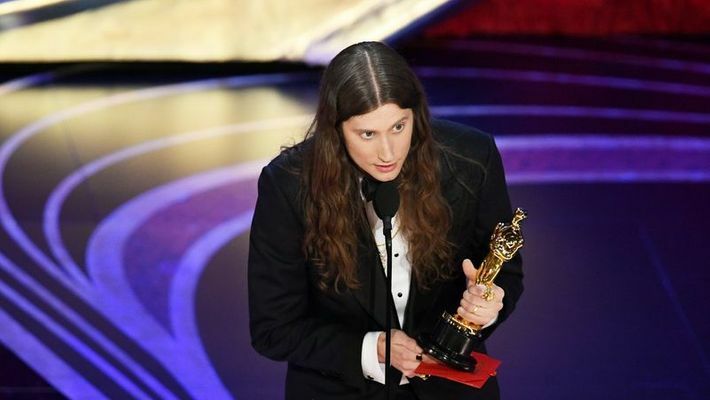 What a year for Ludwig Göransson, who won a GRAMMY for "This Is America" earlier this month and at the #Oscars just now for 'Black Panther'. "Black Panther" was the first movie in the Marvel Cinematic Universe to even get a nomination in the Best Original Score category. Groansson thanked director Ryan Coogler in his acceptance speech and said working with the filmmaker was a big honour for him. #BlackPanther just won Best Original Score! "I want to share this award with all the incredible artistes I have worked with on this film and all the classical musicians from London who recorded on the original score," he added. Groansson recently won two Grammys, bagging the Best Score for "Black Panther" and Best Song for Childish Gambino's "This is America".